Whoa! Too much mileage! Just passed 70K on the original engine. 124,199. It's be more but I haven't the daily 90+ since November and it's been out of commision with ECU/OMP issues of late. Original engine just spun me passed 75,000 miles. At 20,000/year I should see 100k next summer! I'm new to rotary engines. Are you guys suggesting that I shouldn't get more than 60,000 miles out of my $35,000 car without buying a new engine? ^ don't listen to him. Yes. At 60,001 miles, your engine will explode violently, sending rotary shrapnel into your passenger compartment, which will imbed itself into your medulla oblongata. I'll try not to be a numbnut. The bigger question is why you paid 35G's for an 8? If that is the case, then I think you've already surpassed the numbnut stage so the discussion is moot. Stickered at 34,700. After trade and haggling, somewhere around 26,000. Seems to be doing ok although I am concerned about some vibration while idling. It gets much worse if I am running the A/C. I presume you have a '04 or '05, there was an issue on the early cars with the engine mounts cracking, make sure that fix was done. This vibration, especially with the AC, is a primary symptom of that problem. i saw a post about a guy with 192,000 miles on his rx8. he was a traveling salesman. that was about 8 months ago. 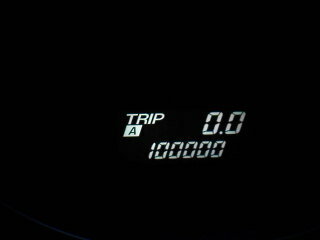 just hit 100,000 today!!! and she's still runnin like a champ!! no probs at all, knock on wood! im at 78k on second motor (bought it with second motor) and running better and better. mpg getting better, im at 260 miles a tank. Post in the 100k mile thread, and tell everyone about the maintenance schedule you adhered to, what type of oil, filters, coolant flush/fill intervals, etc. Just passed 115,000 miles on the original engine. Paid $900 for decarboning, new coils and plugs at 65,000 miles. Pilot bearing melted later; this cost me $2400 for the transmission to be rebuilt. I just paid another $2400 for the HID lights to be replaced, due to fogging. Tail lights have been replaced under warrantee for water leaks. This has been an expensive car, but I know now to use top tier fuel. It still runs well. I'm hoping my 05 with 40K miles will last a while... as I got a 60 month loan. I am religous about maintenance though, and always run premium gas. Hopefully wont be a dialy driver for more than 3 years though (looking at one of the new tesla S sedans for commuting... if things go as planned). I have a 60 mile commute roundtrip 50/50 city highway.